This post is sponsored by Pier 1 Imports. All opinions are my own. So a little backstory for you guys, we have a lot of stuff in storage (storage = our shipping container up at the lot where we’re building our house) and that included all our Christmas decor. Since we moved those items up there we had ALL our tile delivered and stored in that shipping container, too. Like 5,000 square feet worth. SO! I asked Russ if we could get to those boxes and he laughed in my face, so I knew we’d have to improvise this year on all our decor! 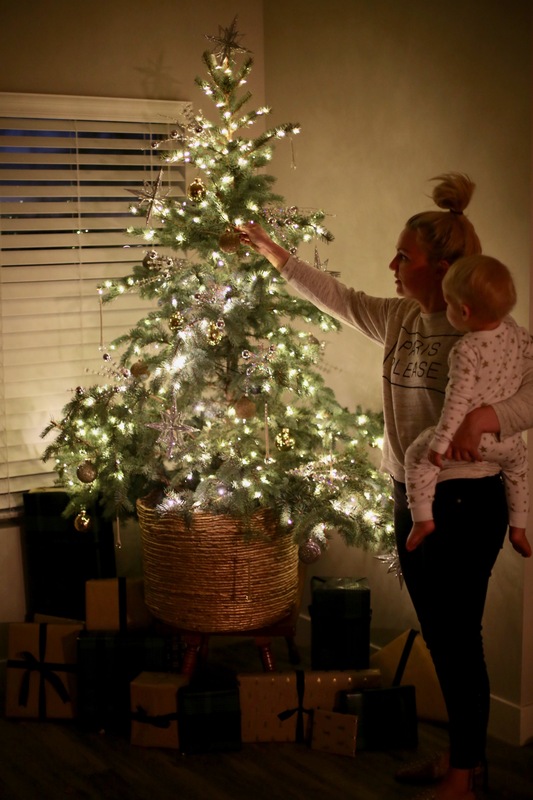 So you can imagine how grateful I was to team up with Pier 1 on our Christmas tree this year! They have decorations that represent trends and styles from all around the world and I knew I’d be able to create the perfect unique tree that represents my personal style! Now, onto the post! I love a Charlie Brown Christmas tree. A little quirky, sparse, worse for the wear even. 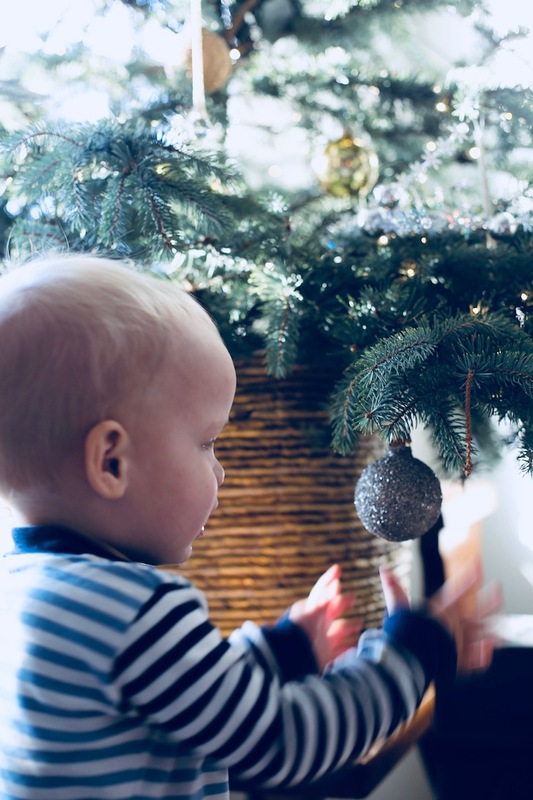 I am always drawn to those trees when we pick one out and I have learned over the years that there are different criteria for decorating a Charlie Brown tree than a typical full artificial tree or like a Douglas Fir. 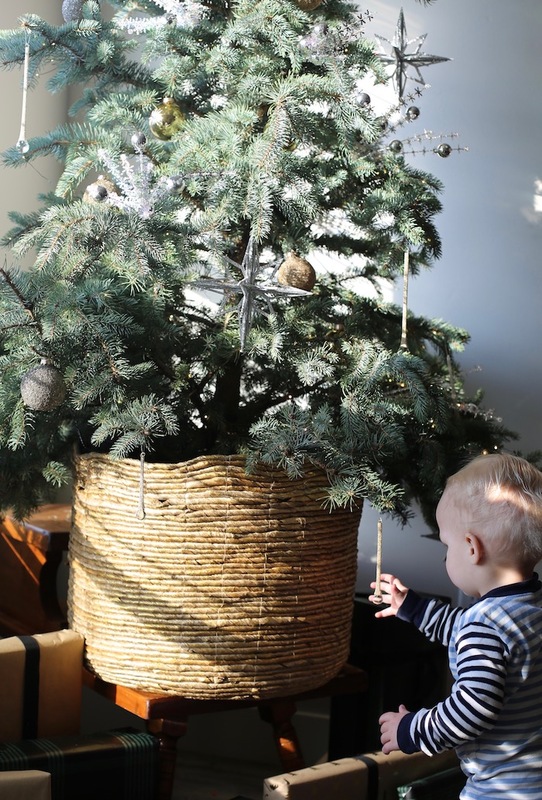 So I am sharing my tips today and you can peek at our tree while you’re at it! Another sidenote: This tree is actually potted! It’s in dirt and we will be planting it at the house when Christmas is over! I loved the idea of getting some landscaping out of the deal and so that is why it’s in this huge basket! Inside it’s on a tray and I water the tray and let it seep up the roots. I also put it on a coffee table to try and keep it out of Raleigh’s reach, let’s see how that’s going shall we? Of course all the decorations can be found at Pier 1 either online or at a store near you! 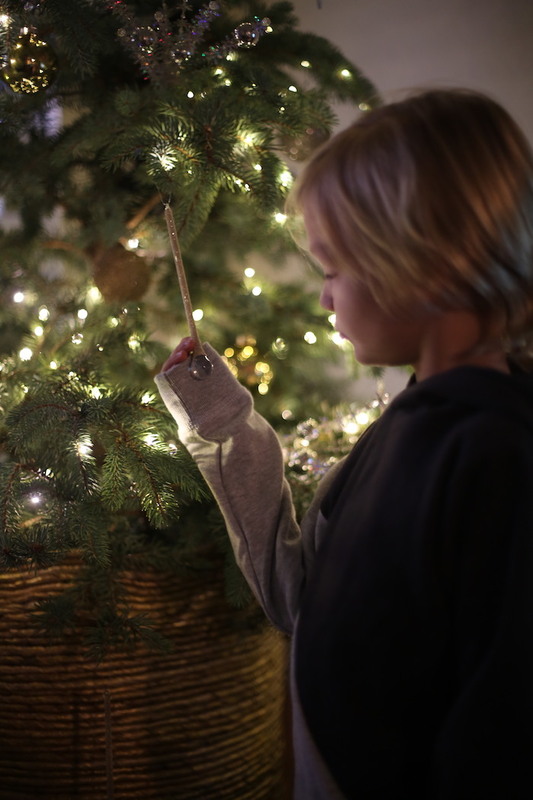 LIGHTS – You will find that you can’t just wrap the tree in concentric circles like you would with a regular tree. There isn’t as much to light, and the wires will be EVERYWHERE. I like to follow the branches up and down and let them lead me to the next branch so I can hide the wires as much as possible. TREE PICKS – Even though I really like seeing the trunk and sparse spots, sprays can fill in holes or balance out some of the unevenness. I love these retro feeling sprays, they reflect light all over the place and are so beautiful! 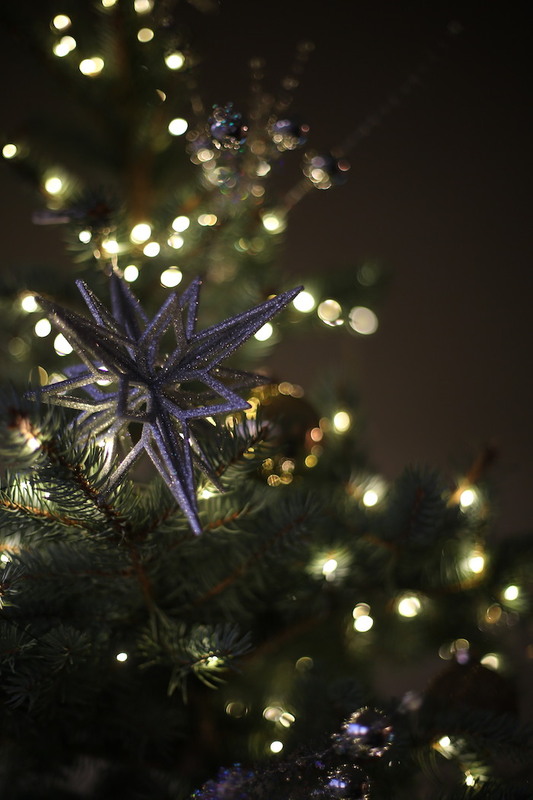 THEME – I love picking a theme no matter what kind of tree I pick but I think a tight theme is especially nice for a tree like this. It can be easy to overpower and over decorate so keep it a little more simple! I chose this set of metallic and glitter ornaments, these amazingly beautiful glass drop ornaments (everyone’s favorite)… Then these oversized glitter stars (doubles as a tree topper, too!) and the sprays. They’re all metallic and varying in size for interest. 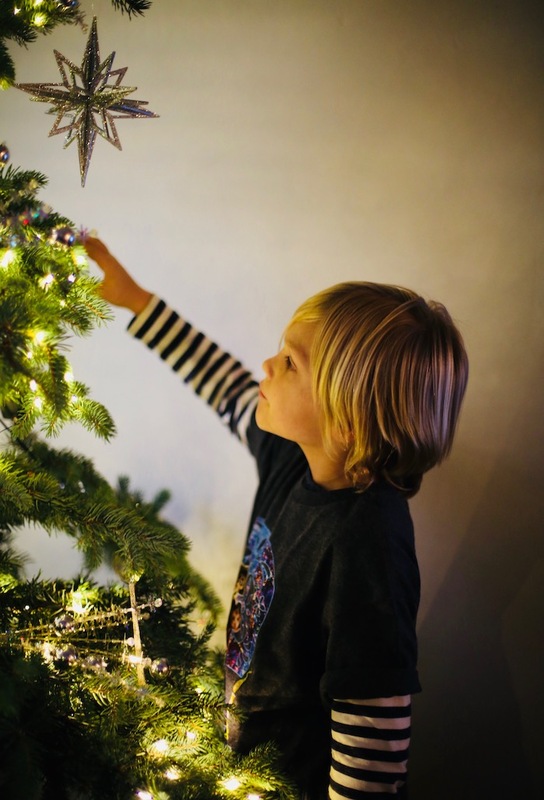 And then just having your themed ornaments out makes it easier to have your little ones helping! 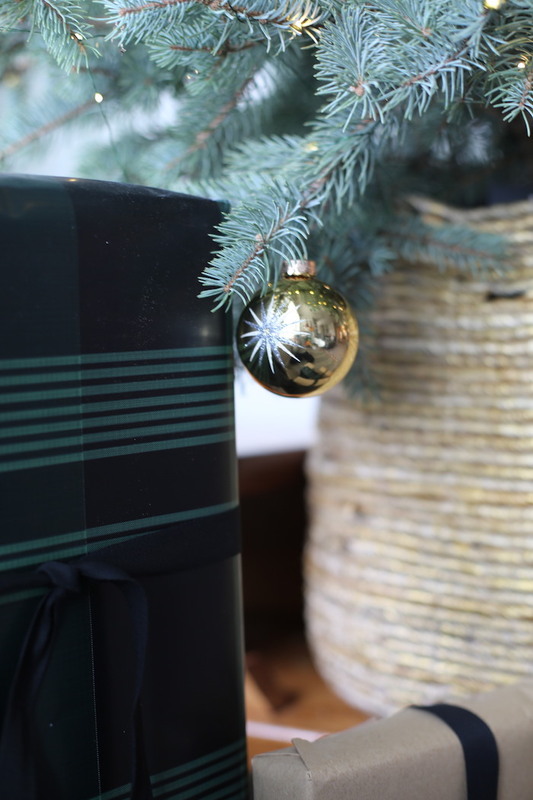 WRAPPING – I also pick a tight theme for wrapping. This year I have kraft paper, a dramatic dark plaid and they’re all tied together with black twill ribbon. I think the less going on the more focus on your special tree! Any other Charlie Brown lovers out there? What are your decorating tips?